And look at this egg-cellent innovation – the Gourmet Breakfast Egg. Not only is it purported to be Free Range, it boasts 15 to the pack at a grand total weight of 750g. To us this calculates out at 50g eggs — however — inside the pack in the Nutritional Information blurb, it states the values are for a serving size of 90g (2 eggs), meaning they are actually 45g eggs. In disguise maybe? This would have to be the worst case of deflation I’ve seen — in only the seconds it takes to open the box! Has anyone told the poor chooks about this? While this tired old world of ours sees inflation soaring in every single direction (or so we thought) — the egg world has not gone pear-shaped, or even oval. It has been silently suffering severe deflation, maybe even an egg-stremely depressed market? Not in sales or consumption numbers, but most definitely in size. Now here’s the original article — well, perhaps not so original. I’m up to my armpits in editing mode at the moment and can’t seem to look at any of my older writings and leave them alone. I’m optimistic it’s a passing aberration. I remain totally fascinated with the absolute consistency of supermarket eggs. 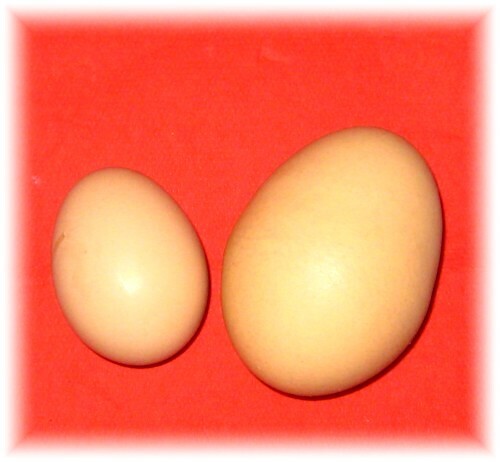 The size question is understandable, due to stringent grading practices and of course, the formidable attrition rate that sees a large percentage of eggs being just not up to scratch. No, the bit I don’t get is the amazing consistency of colour. They are either whiter than white or the most unbelievable shade of orange-ish brown — neither of which you ever see in the great outdoors of backyard egg production. Why is it so? Obviously it requires a much younger brain than mine to work out why our youngest layers share our same old-fashioned ideas about these matters. Will you just look at these chook eggs! Talk about the large and the small — and blessing them all. One weighs 43 gms (1.5ozs ) and the other 105gms (3.7ozs). 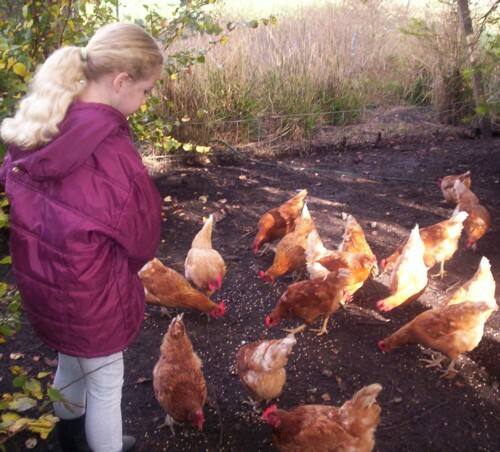 We have all brown chooks — probably not pure Rhode Island Reds, but proficient and happy ‘girls’ who produce their beautiful eggs from a combination of locally bought grain and layer pellets (containing the necessary mineral and trace elements). They are cheerfully and truly free-ranging over a lucerne paddock in the day, pecking away at cuttlefish shells we collect at a nearby beach when we are there (for stronger egg shells) and demolishing all my various vegetable scraps. From this worthy concoction a happy range of fawn to deep brown shells are created in a range of sizes. Every now and then we get a whitish egg for some reason — but it’s more like an incredibly pale cream really – never the bleached white imitations at the shops. Most importantly, the yolks produced from these sweet old-fashioned ‘chicks’ are so yellow you can feel their goodness. ‘Sunnyside up’ takes on a whole new meaning with these eggs; they’re like a ray of sunshine in every serve. One of our customers took a dozen eggs to her ageing mother in the city, and luckily was there when the old lady was about to throw them all away after she broke a couple and found them impossibly yellow. It had been so many years since she had seen a ‘real’ farm egg, she thought they were off. Customers? Yes, we sell our eggs with just a roadside sign and the ‘honour’ system of paying — namely a container on the tabletop in our garage with a bit of change and cartons of eggs in a wall cupboard above. The good news is that we have only once had money and eggs stolen and that was in the first week or so – some 12 years ago. Most of our customers are locals and also regulars, with most making forward orders for the coming week or phoning us first to see what’s available. It all started because we had too many eggs for just the two of us to cope with — and has absolutely snowballed. You can guess by the photo above which eggs I get these days — the ultimate ends of the size range — plus those with thin shells or pimply ones — and it goes without saying, all the ‘old wrinklies’ of course! I don’t complain. In a pan, or in a cake, or in the mouth in any shape or form; all taste equally delicious. And when our special angel comes in with a hand behind her back, saying – “Guess what Gran? I’ve got something SO special just for you!” — I know one of my most favourite things is coming my way — from one of my most favourite people in the world. PPS: If you live in the USA, I should translate for you. Our ‘chooks’ are what you call ‘chickens’, and our ‘chickens’ are little yellow fluffy creatures that are baby ‘chooks’. Some finer speaking Australians call them hens, or poultry. The rest of us call them ‘chooks’. I want this in my yard, that’s all. A chook yard, or a grand-daughter Alice? I have loved having them both, too. I’m not kidding – I was just pondering this phenomenon today at the grocery store (along with the rising cost of eggs). So interesting to come home and read about it from a “chook” expert! I am so careful where I buy my eggs. I’m always freaked out by how giant and white some are! And what is with those eggs with two yolks in each??? Lots of fun and informative information! There’s nothing like a good fresh (but cooked) egg! Liek a couple of the others I grew up living and working on a farm in New Zealand. Mostly sheep but we did have hens and we did get eggs. I have great stories, more like memory snip-its, of those years and feel fortunate to have been able to taste the homegrown difference in my food. I grew up on a chicken farm and it was my job to wash, candle and grade the eggs. My dad had built a small shed for this and to me (from a family of 11 children) it meant time for me. My dad had an egg route with steady customers who took all the good eggs and we used the small and deformed ones, but were they good. That was before all the regulations and licensing set in which killed many a small egg business. Thanks for bringing back some memories. I had spent many weekends and summers on my grandfather’s farm where he had enough chickens for his own egg consumption…though he raised beef cattle as a business. I miss those eggs! It’s true that the yolk is so much brighter and more flavorful. But I mostly love that there is somewhere in the world where the honor system is in play and by and large works beautifully. That’s inspiring! Hi Christine. Eggselent article. It cracked me up. 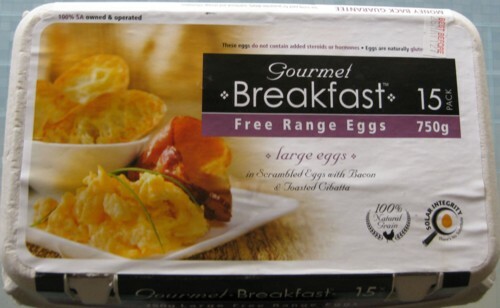 I am fortunate to buy my eggs at a farm using the same honour system ( 25 cents off if you bring your own carton) They are great, genuine free range instead of allowed out once a day for a leg stretch. Yellow is good !